Hank Stout co-founded Sutliff & Stout, Injury & Accident Law Firm because he wanted to help real people with real problems. Raised in a small West Texas town, Hank was taught the value of hard work, determination, fairness and helping others. As a Board-Certified personal injury lawyer, Hank has spent the last decade helping others who were harmed by the carelessness of others. Hank has been selected by Thomson Reuters as a Super Lawyer since 2012. 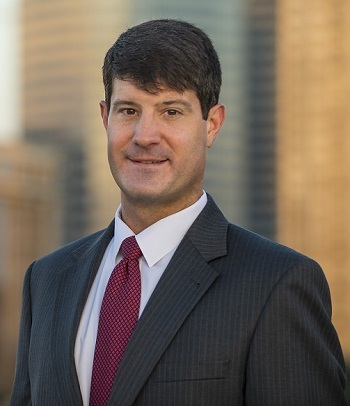 He has also been recognized as one of Houston’s top personal injury lawyers by H Magazine and Houstonia Magazine. While Hank is appreciating of this recognition, he is most proud of what his former clients have to say about him and how he has been able to help them in their time of need. Through their success, Hank and Graham have been able to give back to the community in an effort to make it safer for everyone. The Firm has created a Free Cab Ride program on major holidays to help prevent drinking and driving. The Firm sponsors a variety of organizations and provides several different scholarships every year to promote safety awareness among young adults. When Hank is not working, he enjoys spending time with his family and seeing the world. If you would like to see the types of results Hank has been able to obtain for his clients, please click here. If you would like to see what Hank’s former clients have to say, feel free to check out the reviews on Avvo, Google, and Facebook.